Purdue State Bank, West Lafayette, IN | ride. travel. live. 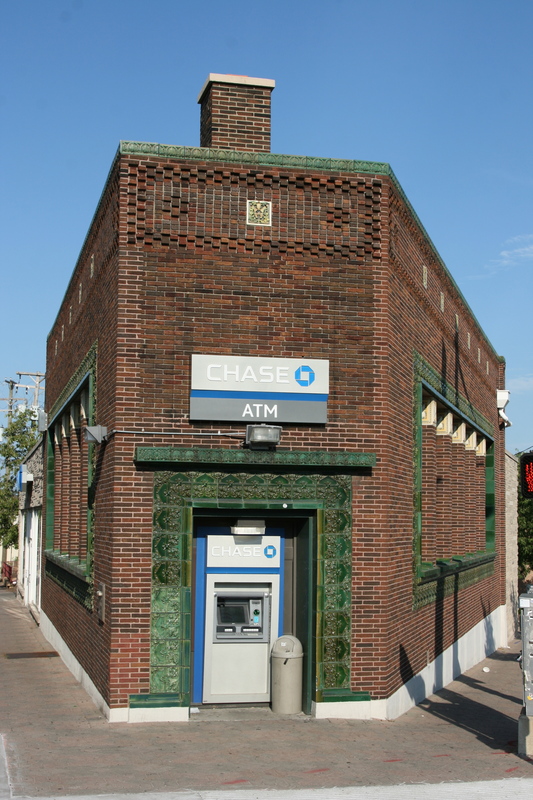 In the sleepy college town of West Lafayette, Indiana, is the Purdue State Bank building (now Chase). Completed in 1914, this is another of Sullivan’s Jewel Boxes, fit into a gently sloping, irregularly shaped block along the main east-west thoroughfare. Like his structure in Algona, Iowa, the Purdue State Bank was completed on a low budget, and is among the smallest of the banks. They’re similar in their composition, colors, size, and budget. Unfortunately, the building has been altered, especially the once-front entrance, which has been replaced with an ATM kiosk. The signs that had hung over the entrance have now been replaced with a smaller sign, and it appears that the terra cotta has been nicely restored. 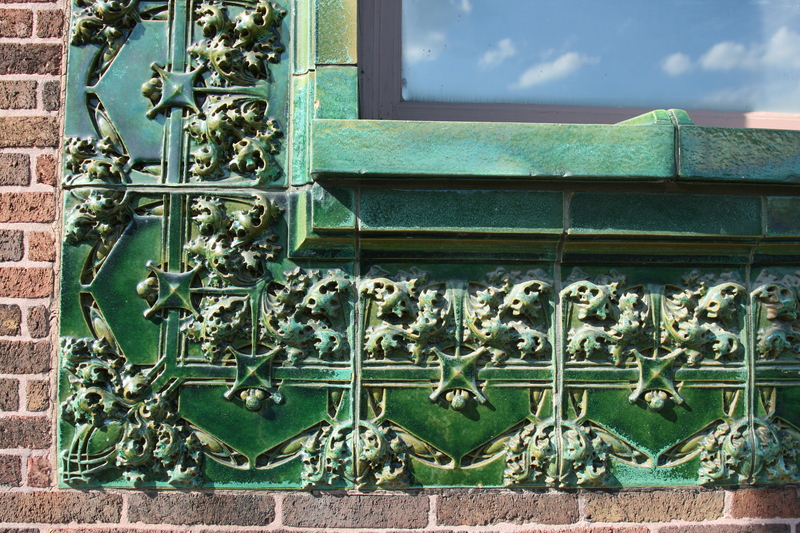 As for his decoration, it’s restrained overall, restricted to green terra cotta framing the side windows and textured brick patterns along the facades. Despite the budget, it is amazing how Sullivan works his magic in these buildings. It also looks like aside from the ATM, the building is in good condition even after nearly 100 years. The interior, which I did not have the chance to see, seems to be office and storage space for the bank, and probably could use some restoration. Next stops, Sidney, OH, and Owatonna, MN.